Holiday cottage for 2 to 6 persons (Pink decoration ), in an idyllic and paradisiac environment, with big comfort (WiFi, dishwasher, washing machine, garden furniture and privative terrace, tv, barbecue etc.). On the spot you will find a fishing lake, a swimming pool, table-tennis tables, table football and gaming area for the smallest... Archery on request and on reservation. Holiday cottage Emerald for 2 to 6 persons (green decoration), in an idyllic and paradisiac environment, with big comfort (WiFi, dishwasher, washing machine, garden furniture and privative terrace, tv, barbecue etc.). 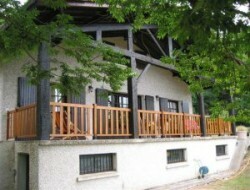 On the spot you will find a lake for the fishing, a swimming pool, a petanque field, a table-tennis table, a table football and an gaming area for the smallest... Archery on request and on reservation. 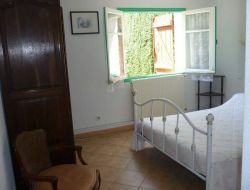 Come to spend a relaxation and nature stay on a field of 7 hectares located in the small town of Anthé, in full countryside. Calm and relaxation assured. 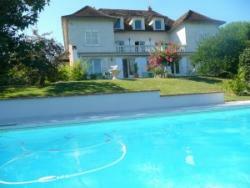 We offer two cottages for 3 and 5 people with all the comforts for a pleasant holiday in the Lot et Garonne. 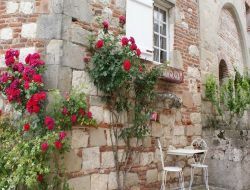 Gite de France "2 epis", with a capacity of 4 persons situated within the medieval village of Penne d'Agen, on the road to St Jacques de Compostela. 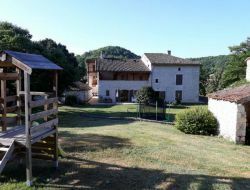 Rent of a holiday cottage of a capacity of 6 people (+ 1 baby), completely renovated and equipped, it will offer you all the necessary comfort to spend a pleasant holidays in Lot-et-Garonne. 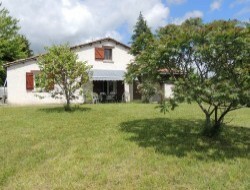 Pleasant independent holiday cottage situated on a raised ground in valley of Albret on the verge of the Gers and of the forest of the Landes. 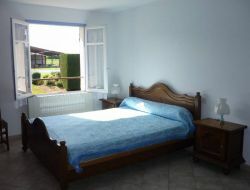 Navigable river, fishing, canoé.... Holiday cottage constituted by a living room + 2 bedrooms, any comfort. Very quiet zone, close to everything shops. Seen on the countryside. 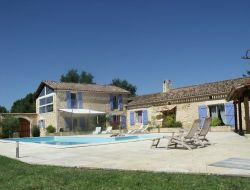 To 5 km from Agen, tourist and gastronomic region, in a quiet and restful residential area, with fantastic view, luxury gite of 90 m ², all comfort, in residence of character, with 6 sleepings, terrace of 50 m ² covered by electric blind, barbecue, raised and flowery park of 1 ha, privative swimming pool with alarm, solar shower and summer cover, fitted out beaches, area games (2 slides, portico, swings), privative car park in the property.